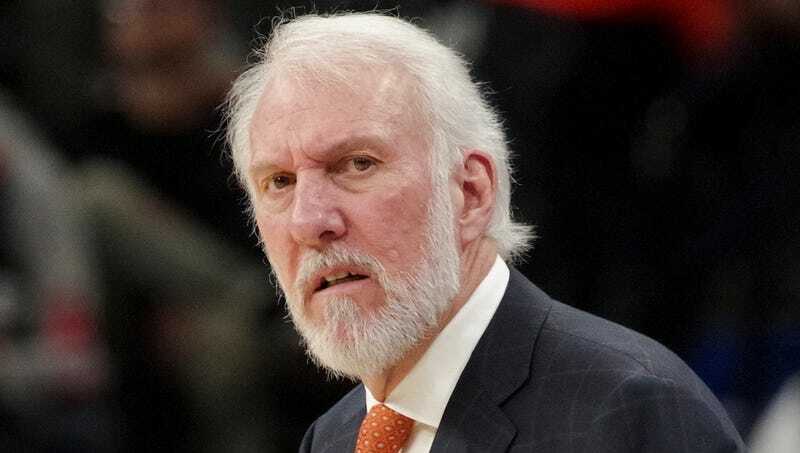 Gregg Popovich Goes Off On His Team After "Pathetic Performance"
The San Antonio Spurs held off a very resilient, shorthanded Dallas Mavericks team by five points tonight at home. Dallas was without Dirk Nowitzki and Andrew Bogut, but Seth Curry and Harrison Barnes each scored 20 or more and pushed San Antonio until the very end of the game. As for the Spurs, they were outrebounded despite the Mavs playing without their starting frontcourt, and their starters got outplayed. A close win with warning signs is the ideal backdrop for a Gregg Popovich tirade, and he didn’t hold back when speaking to reporters after the game.